Rick Kearney, Chairman and Founder of Mainline, has been an avid supporter of the TCC Foundations for many years. Continuing his partnership with TCC, Rick donated $25,000 to TCC’s Cleaver and Cork event benefitting scholarships, educational programs and learning facilities. Rick Kearney, Mainline Chairman and Founder, continues his efforts and passion to end homelessness in his local community through his support and leadership of the Kearney Center. 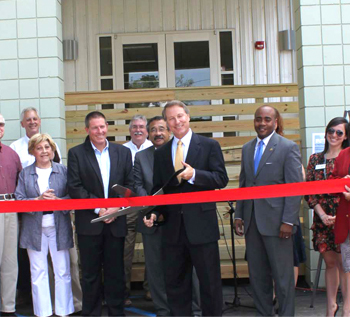 Through partnerships with services and the creation of affordable housing, the Kearney Center provides a path to those who would otherwise be living on the street and looking for shelter. “There is no text book to describe what we’re doing….We basically threw out the book, erased the chalk board and built this solution from scratch”. Mainline supports student success at Tallahassee Community College (TCC). 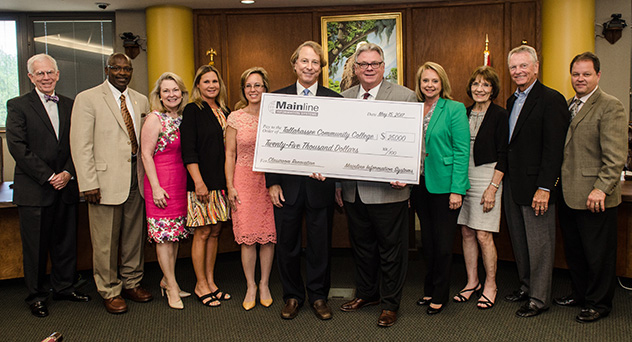 Mainline has long been a partner of TCC and already sponsors an endowed scholarship at the college. This gift to the First Class project further exemplifies Mainline’s commitment to the local community. It takes a village to raise a child. Many have heard that expression, and many will agree that it is true. 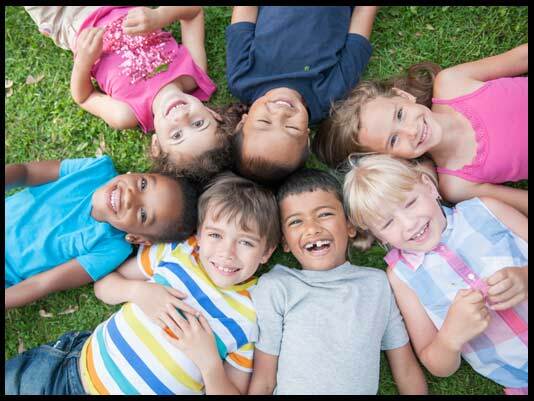 Most children in the United States, and around the world, are living in a safe, nurturing, learning-conducive environment. However, the truth is that many children are victims of neglect and abuse – right here in our own backyard. Mainline, along with several other organizations in the Big Bend area, are committed to changing these children’s lives. We stand proud with our community’s dedicated child advocates to make a difference – to be the village. Among married-couple families with children, 96.7 percent had at least one employed parent and 60.6 percent had both parents employed. If you fall into one of these categories, you would probably agree it’s not easy to juggle your job and your family. And it’s even more difficult if you or your family are not happy. A happy family makes for a happier and productive employee. 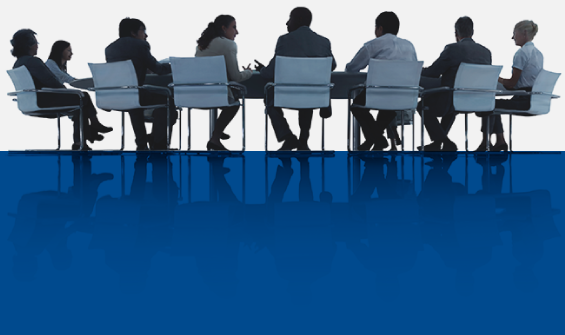 Mainline understands the link between happy families and productive employees. With a workforce population and a customer set spread around the US, many employees are spending time away from their families. To try to make up for some of that lost family time, Mainline hosts and supports family events – BBQ’s, Bon Fires, Bouncy Houses, Weekend Getaways, Charity Events, and more. 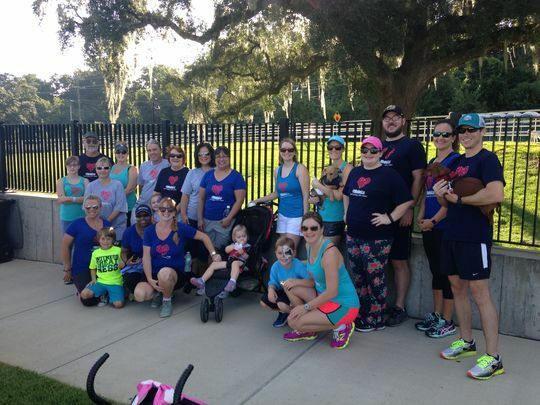 The Tallahassee Family Friendly Workplace Initiative agrees that Mainline is doing the right things to provide a family-friendly workplace, and has recognized Mainline as one of 10 Tallahassee companies that go above and beyond in appreciation of their employees and their families. The Family First Initiative was launched in 2015 by Tallahassee Mayor Andrew Gillum to help improve early childhood education and to help prepare children for success. Employees at Mainline Information Systems participated in last year’s heart walk sponsored by the American Heart Association. We feel like the employee and their family work for us, so we include them in the activities at the office. 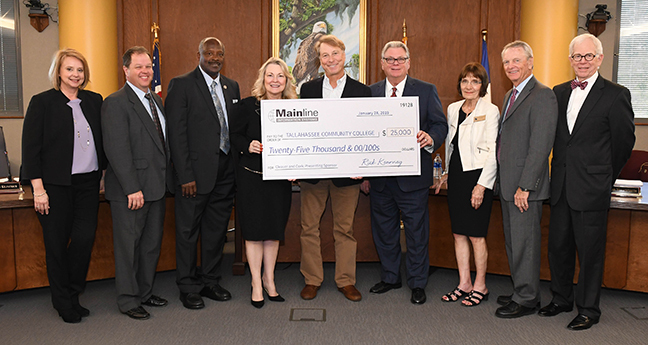 Mainline Chairman and Founder, Rick Kearney, is passionate about preventing homelessness and he continues to provide not only his financial support but also his leadership and time to the operation and success of the Kearney Center in Tallahassee. Rick was recently invited to share his story with residents, business leaders and government officials of Sarasota County, FL who share similar interests. February 17, 2015 -Tallahassee, Fla.
Children’s Home Society of Florida received sixty laptops from Mainline Information Systems, Inc. to help vulnerable teens in the Big Bend area learn needed software and technology skills. The donation will allow teens and young adults age 14 – 21 to learn the software skills needed to apply for jobs and study for school through programs run by Children’s Home Society of Florida. While ending homelessness in his community is a key goal for Mainline’s Chairman and Founder Rick Kearney, all Mainline employees are encouraged to be involved in the communities in which they live and work. 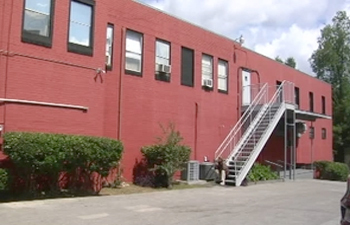 When the Haven of Rest homeless shelter in Tallahassee announced that it was closing its doors because of lack of funding, several local organizations stepped in to make sure the people impacted had somewhere to go. One of those organizations was Westgate, a group supported by Mainline Chairman and Founder Rick Kearney. The Department of Children and Families joined Mainline Information Systems, Inc., the Greater Tallahassee Chamber of Commerce, ECHO Outreach Ministries, Catholic Charities of Northwest Florida and more than forty organizations, businesses and foundations in a Ribbon Cutting-Ceremony and Building Dedication for the new Renaissance Community Center in Tallahassee’s historic Frenchtown community. 40 individuals received shelter, food, and support services at HOPE Community. 40 families, with a total of 80 children, received services and shelter at HOPE. When residents entered HOPE Community, the median monthly income was $150-$250; when they left HOPE Community the median income was $501-$1,000 monthly. Of those who exited HOPE Community during 2011, 72% moved into stable housing. 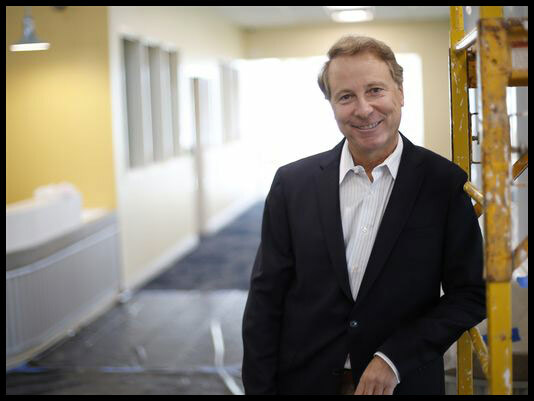 Mainline Information Systems Chairman and Founder Rick Kearney is spearheading the project, which requires a complete renovation of the 4,800 square-foot building. 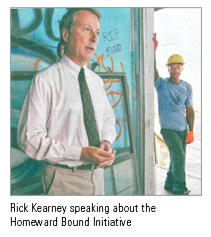 Kearney, a member of the Homeward Bound Initiative that is focused on easing the plight of the homeless, is leading a small army of local business professionals to help with the project.